In a poll conducted before the U.S. withdrawal from the nuclear deal, a majority of Iranians said they would support retaliation against the United States if it abrogated the accord. 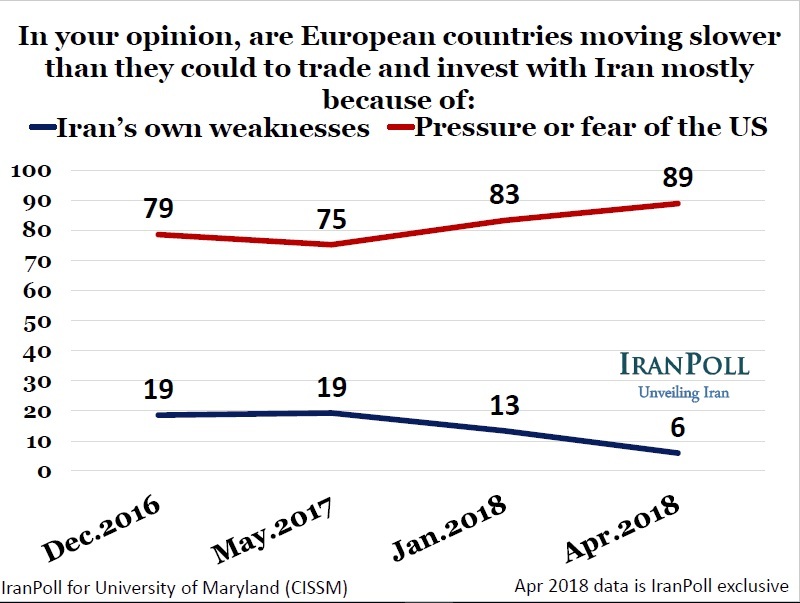 The IranPoll survey also showed that 92 percent of Iranians had no confidence that the United States would live up to its nuclear deal obligations. And only 54 percent of respondents were confident that other world powers -- Britain, China, France, Germany, and Russia -- would live up to their obligations. A majority of Iranians also said the Joint Comprehensive Plan of Action (JCPOA) had not yet improved their living conditions. Most said their economic perceptions had worsened since the January 2018 poll. The following are the results from survey. 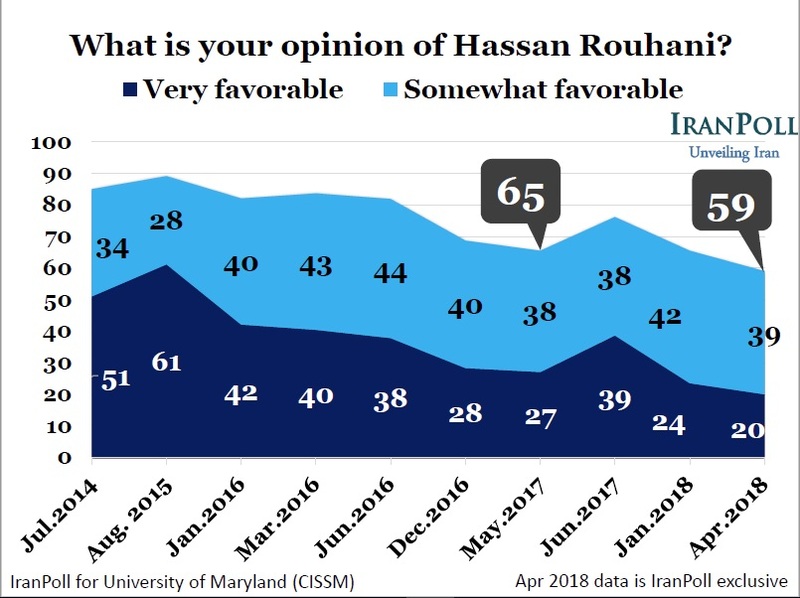 A majority of Iranians (59 percent) view President Rouhani favorably, but his popularity has decreased since June 2017. 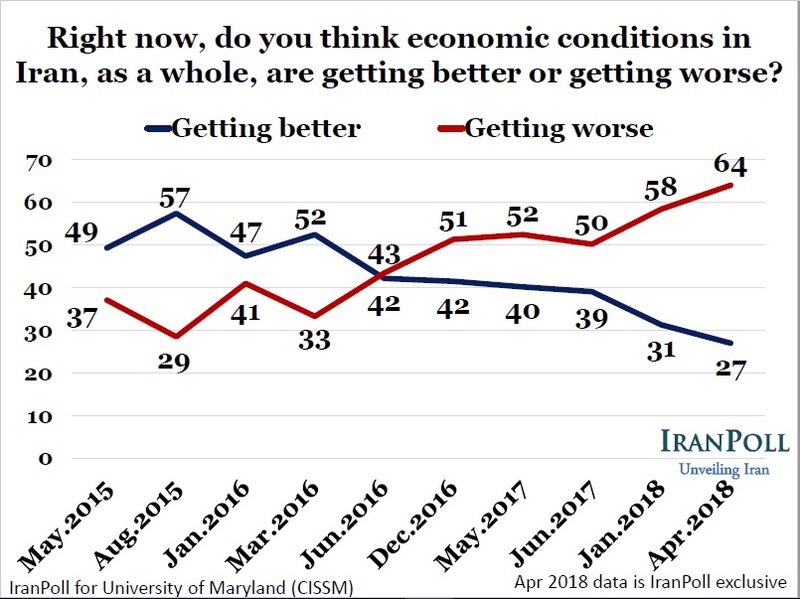 Most Iranians say the general economic situation is bad and, as a whole, is getting worse. 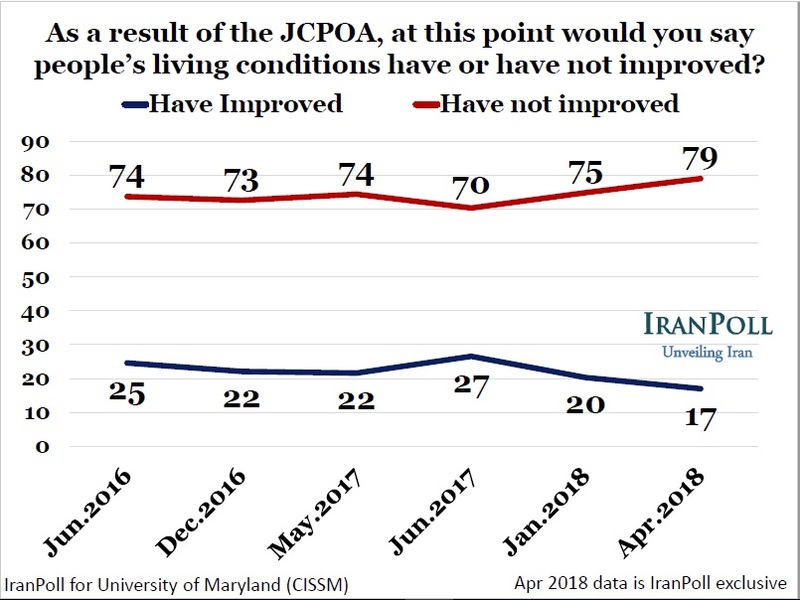 An overwhelming majority of Iranians (79 percent) say living conditions have not yet improved since the JCPOA's implementation. 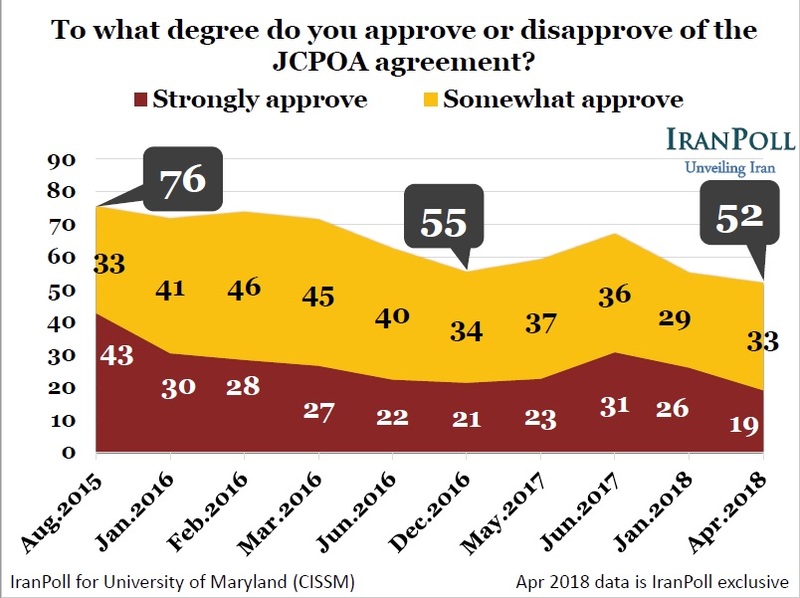 A slight majority of the Iranian population approve of the nuclear deal, but approval is at its lowest point since the IranPoll survey began. 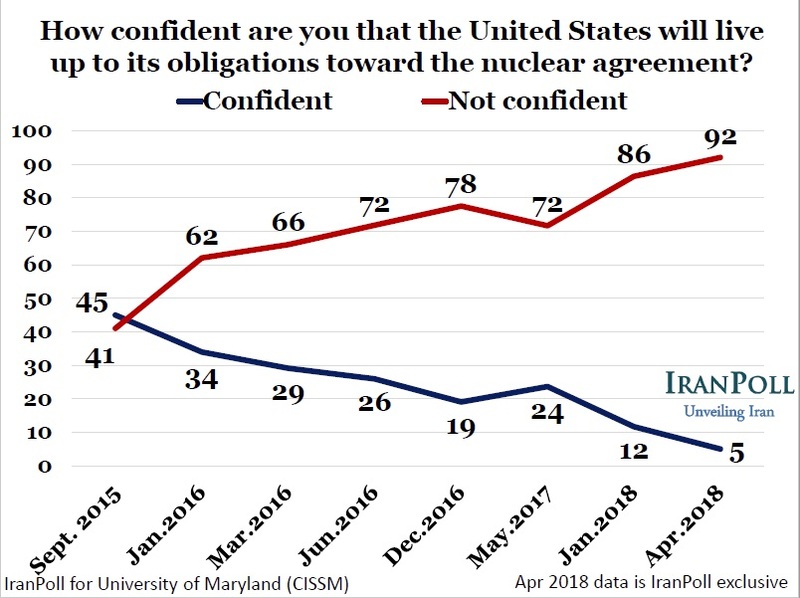 Almost unanimously, the Iranian population had no confidence that the United States would uphold its JCPOA obligations. 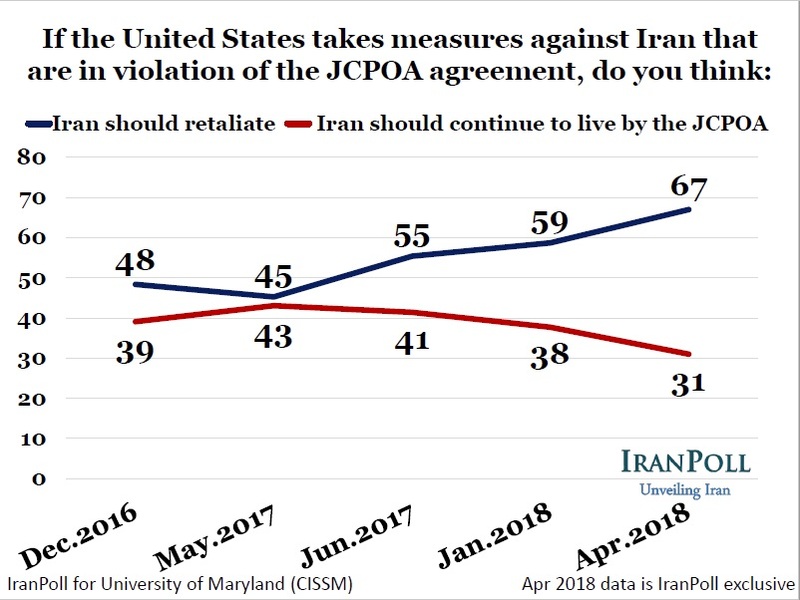 Some 67 precent of Iranians thought Iran should retaliate if the United States withdrew from the nuclear deal, rather than abiding by the JCPOA. 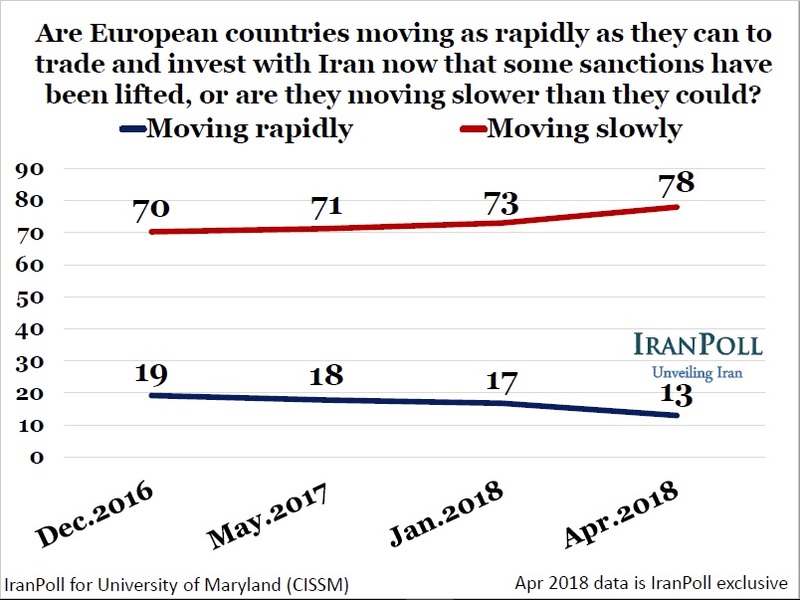 Most Iranians suspect that European countries are moving slowly in terms of trade and investment, primarily because fear of the U.S. and American pressure. 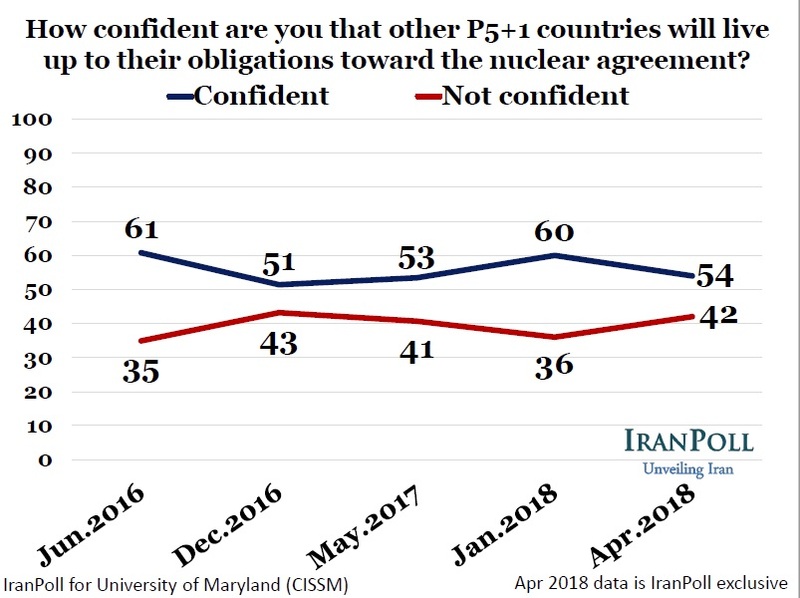 A majority of Iranians are confident that other P5+1 countries will live up to their nuclear deal obligations, however confidence has declined since January 2018. 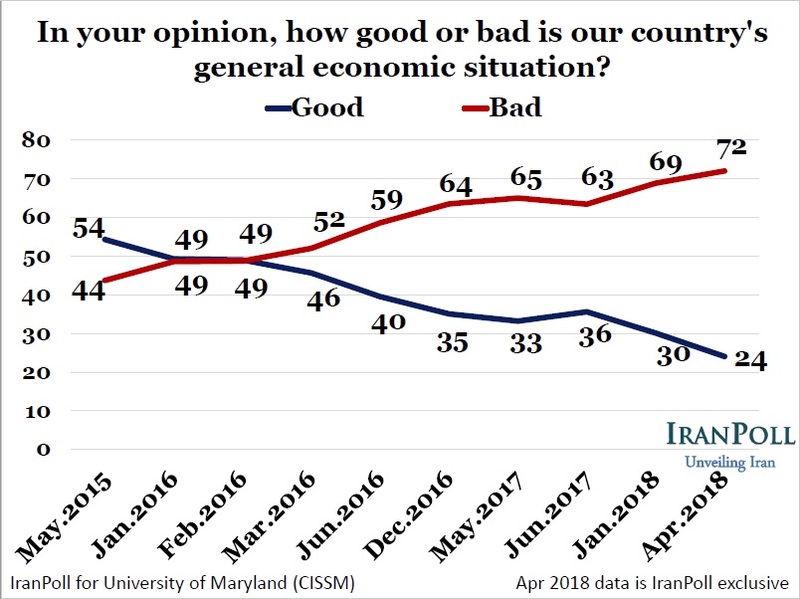 The IranPoll survey was conducted between April 13 and April 17, 2018 via telephone. A total of 1,003 Iranians were interviewed, and the margin of error was +/-3.1 percent.